Whenever I travel to different places, there’s one thing that I set my eyes on – the traditional houses and heritage buildings of the city. I feel every house has a story to tell. From its architecture to its colours, from its outdoors to its interiors; every little aspect of a house speaks about the style quotient of the family residing in it. One such place of beautiful homes is Goa. 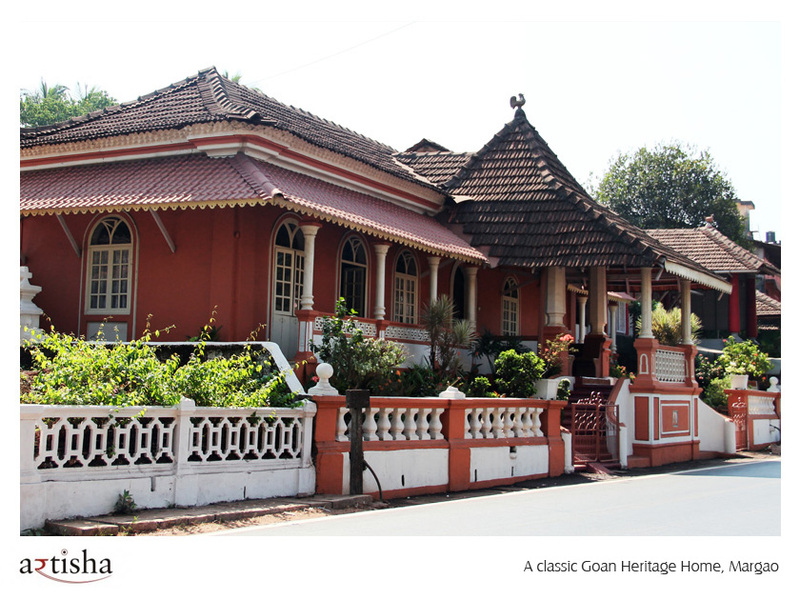 Apart from its nightlife, exotic cuisine and sun kissed beaches; I am in love with the heritage homes of Goa. 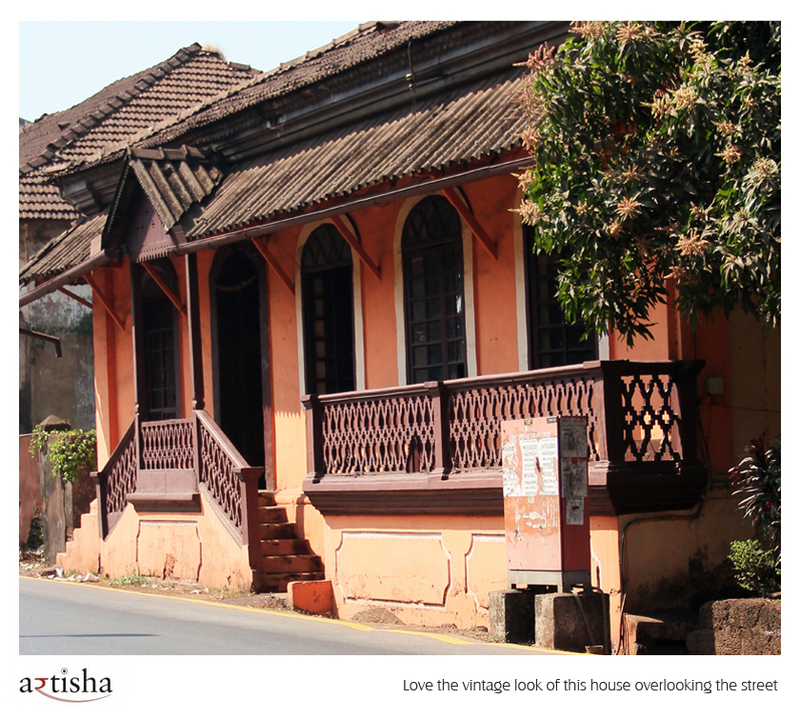 On my way to Palolem beach, I was drawn to the old world charm of the traditional row houses in Margao. 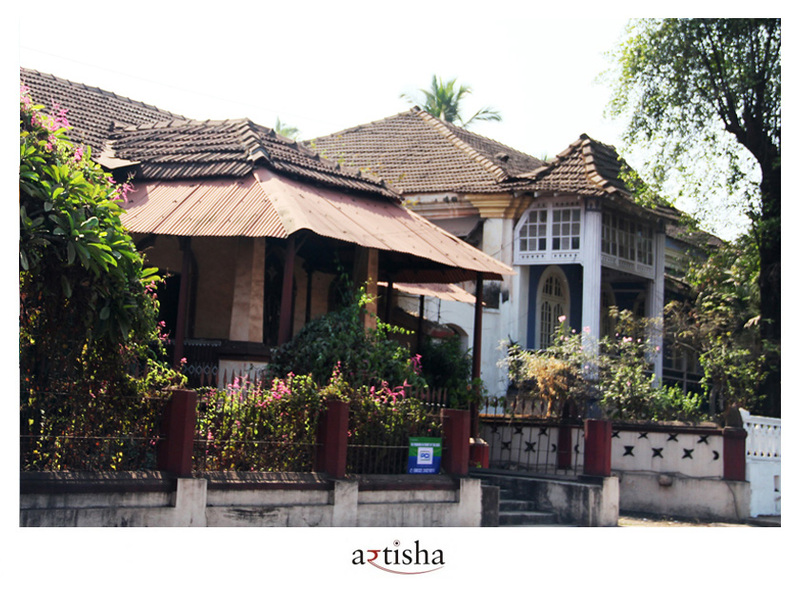 Though it was an unplanned visit to the town, am glad I stopped by to take a look at the beautiful sprawling heritage homes that dotted the roads of Margao. What caught my attention was the mysterious period look about them. 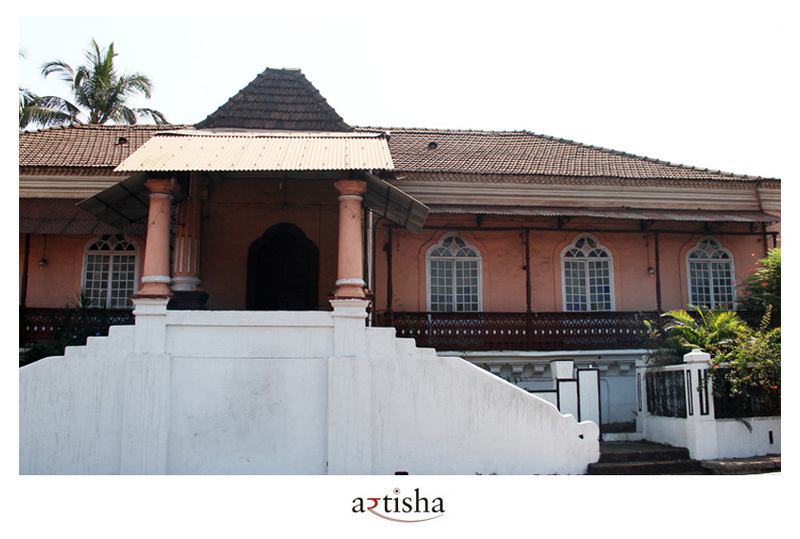 Huge castle like houses overlooking the streets with covered porches and verandah are a treat for the eyes. 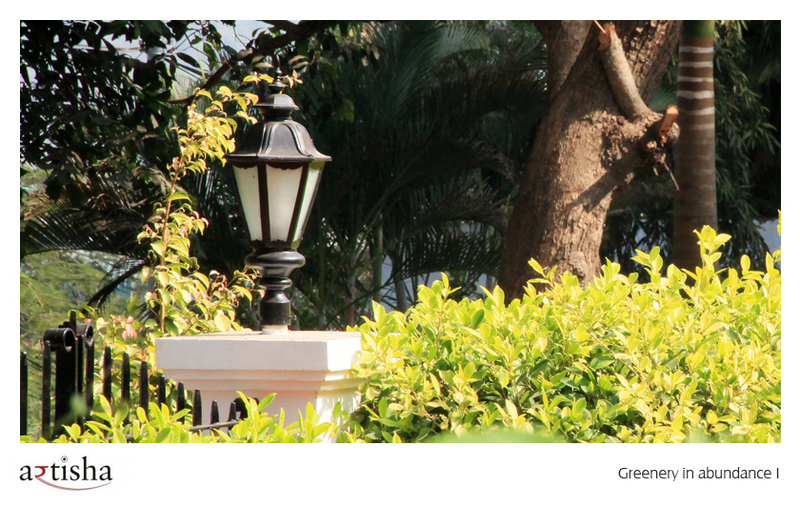 One cannot miss out on the green lush gardens in front of these traditional homes. 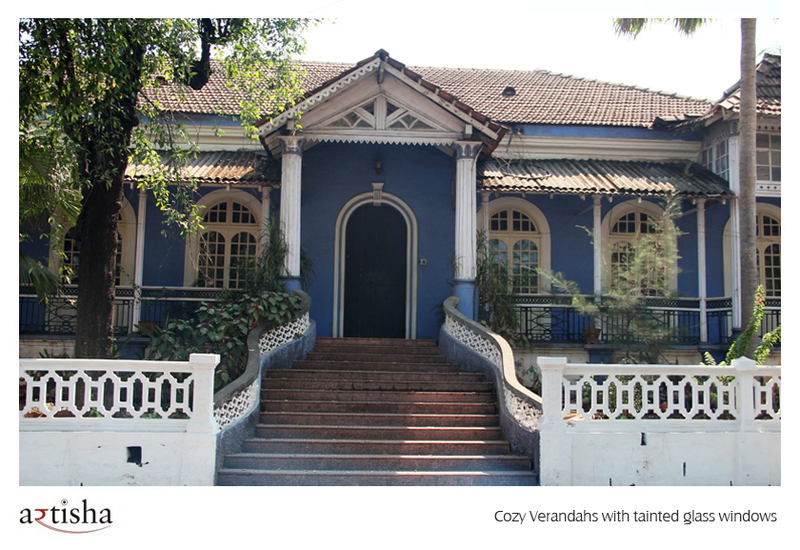 It was worth seeing these Indo – Portuguese style mansions. 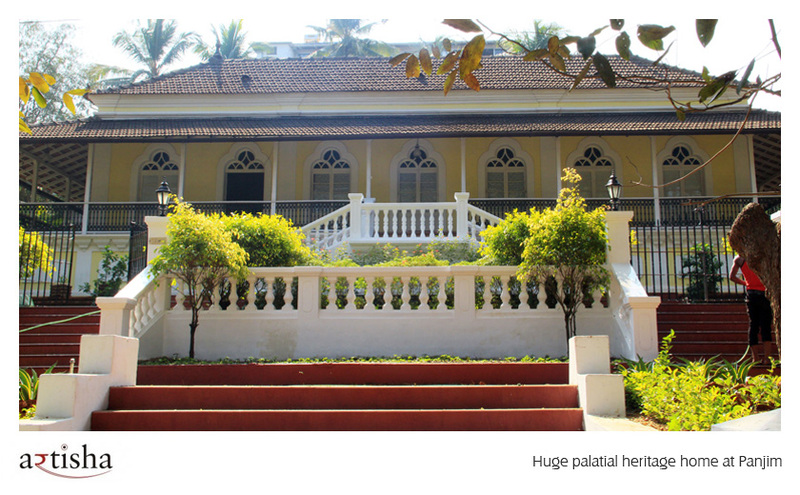 The Goan houses boast of impeccable style and luxury. While verandahs are adorned with classic neo gothic windows and pristine old English furniture, the roofs are made of Manglorean terracotta tiles. 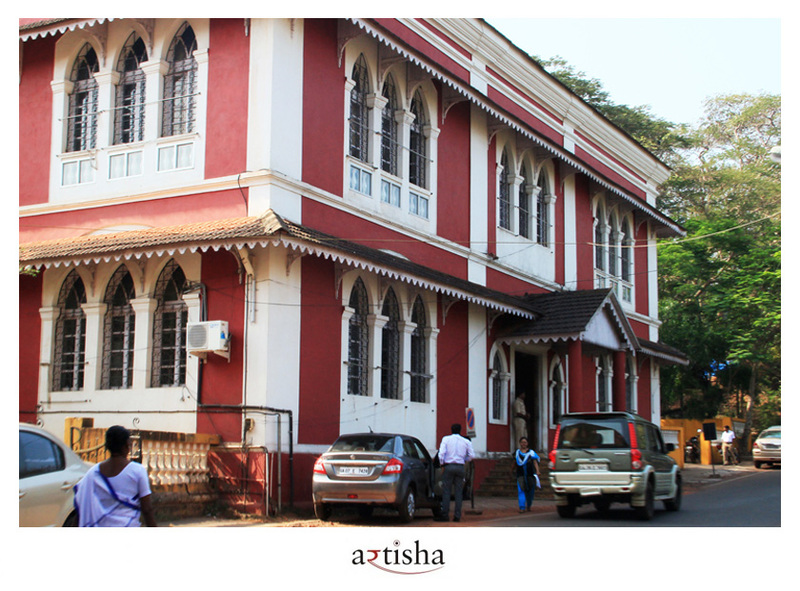 The ornamental cast iron railings, often a combination of greek and gothic motifs are quintessentially Goan. 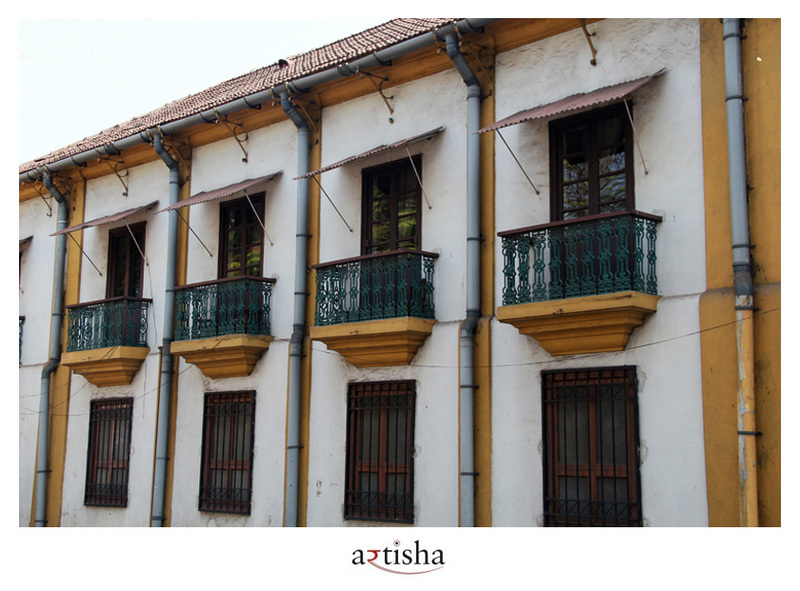 You would also find similar railings in the colonial buildings of Panjim. 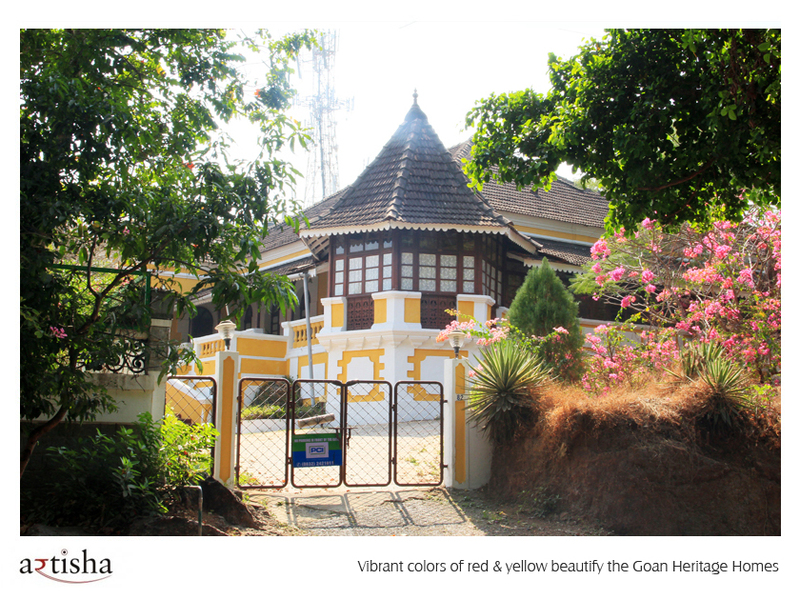 Goan homes, they say have a significant influence of the European and Portuguese style of architecture. Though I felt, some of the houses have some resemblance to the typical hindu courtyard style mansions. 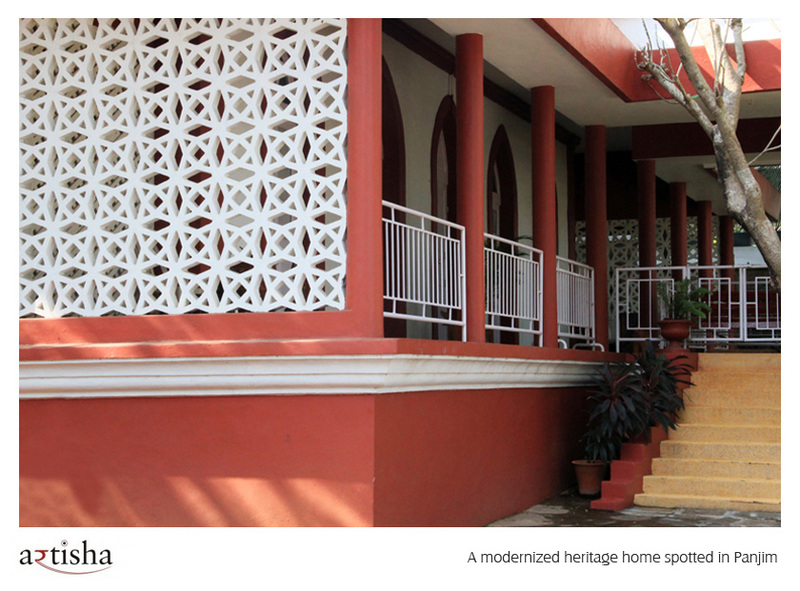 The most striking feature of the goan heritage homes are the expressive gables and the intricate eave boards. Each of these design elements epitomizes the luxurious goan lifestyle. This time I could only glimpse through the verandahs and the gardens. 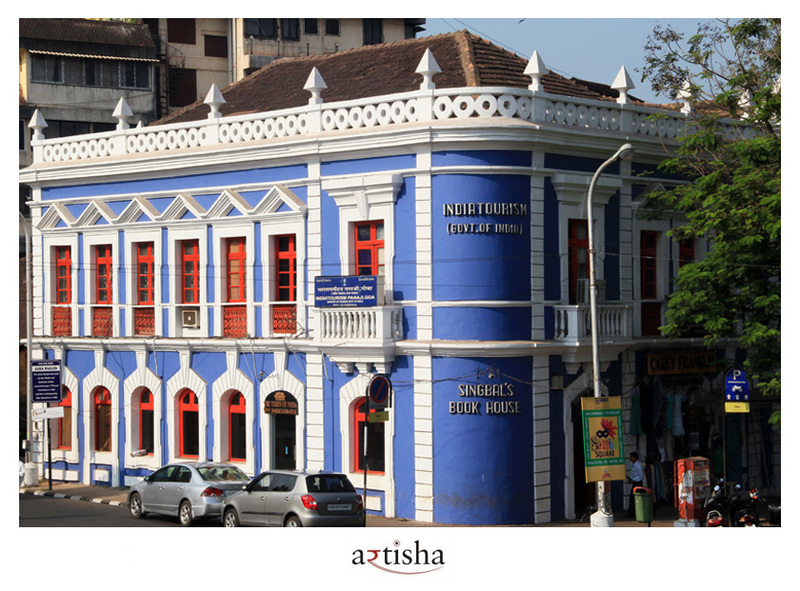 I am sure in my next trip I am definitely going to enter one of these heritage homes to explore the beauty within the mansions and hear stories about the ancestral goan families and their lifestyle as I feel the history of theses heritage homes will be incomplete without their legendary tales. 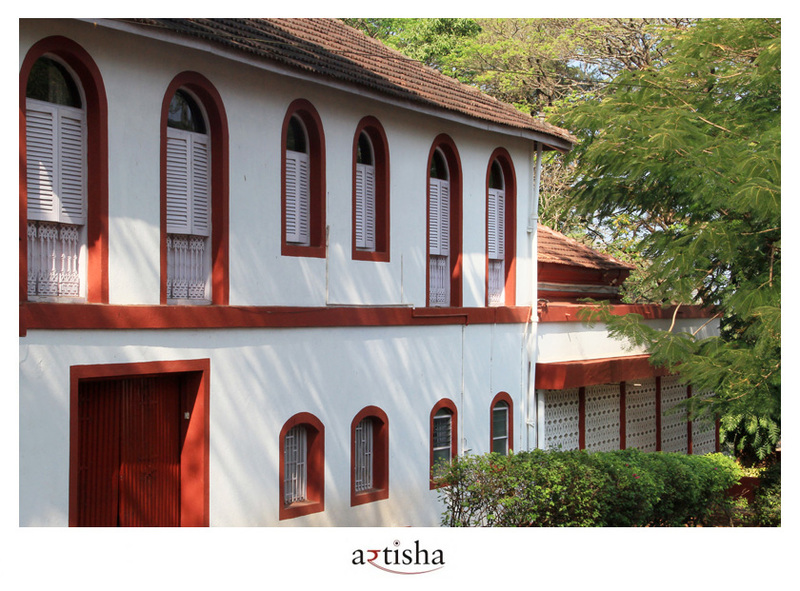 Leaving you with the glimpses of some amazing colonial houses of Goa.